We all remember 'The Wizard of Oz' from the ruby slippers to the emerald city -- not to mention how cute Toto was. Dorothy never stopped trying to get home even when the Wicked Witch of the West sent flying monkeys after her. So when the going gets tough, stick to your yellow brick road and you'll overcome your obstacles too. Though the Scarecrow, Tin Man and the Cowardly Lion aren't the typical staples in your posse, these three friends always had Dorothy's back. Don't pass on a possible friend because they're different than you. Dorothy's trip to Oz was difficult, but she still found a place over the rainbow. After singing about a magical land, she found it and that means you should never stop dreaming about yours. The Scarecrow wanted a brain. The Tin Man wanted a heart and the Lion wanted to be brave. Even though they thought they had to ask the Wizard to grant their wishes, they found those traits inside themselves. The Lion best represented this when he put aside his own fears to help his friends. 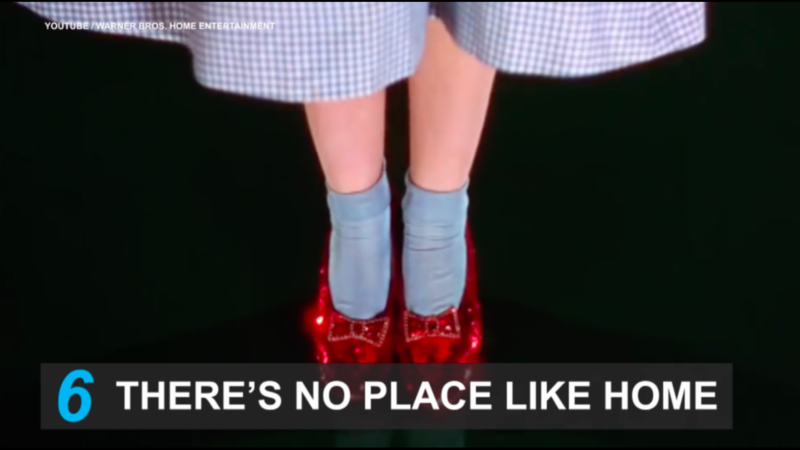 You don't need emerald cities or ruby slippers. Everything you need is waiting for you... right at home.